This background paper offers a critical review of the situation of undocumented migrant minors in the UK. The paper first addresses issues related to the definition of the group. It introduces the debate on children in migration and illustrates some of the tensions that the migration of children produces, both discursively and in policy terms. It focuses in particular on issues such as access to health and education services, and employment of undocumented migrants under 18. 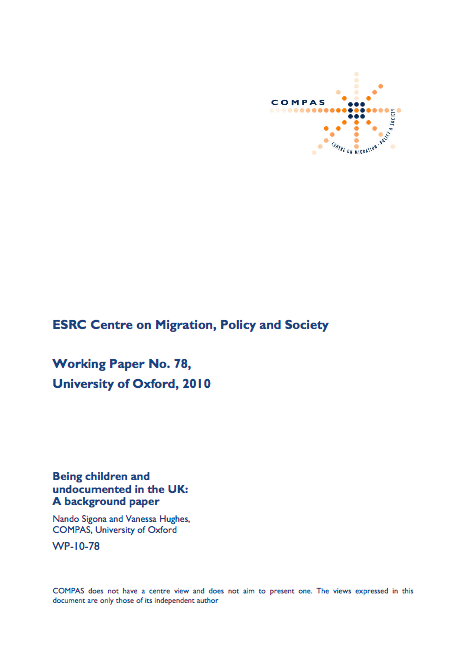 Finally the paper outlines the main trends in the migration of children, providing a preliminary mapping of the numbers and locations of undocumented children in Britain.